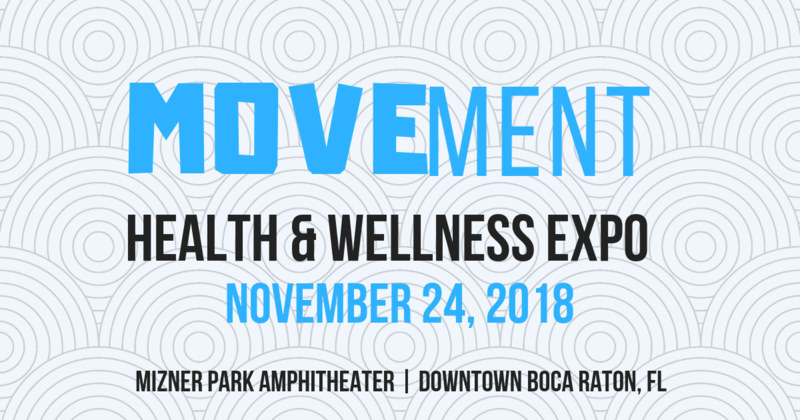 Join us for the inaugural MOVEment Health & Wellness Expo at Mizner Park Amphitheater on Saturday, November 24, 2018. Presented by Wheelhouse Branding, this incredible charity event will benefit the Movember Foundation, the leading charity working to change the face of men’s health on a global level. The Movember Foundation has funded more than 1,200 men’s health projects around the world, addressing some of the largest health issues facing men today including prostate cancer, testicular cancer, mental health, and suicide prevention. 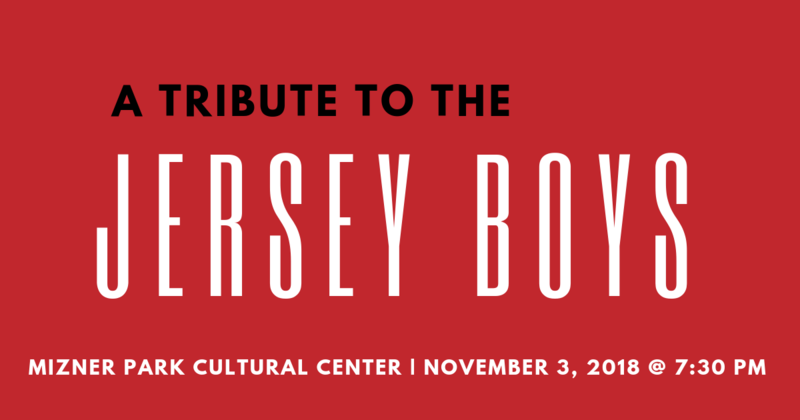 On Saturday, November 3, 2018, the Mizner Park Cultural Center will host a tribute show unlike any other, with an intimate live performance of A Tribute To The Jersey Boys. This compelling tribute performance features an incredibly talented group of renowned musicians including William Cintron as Four Seasons frontman and powerhouse vocalist, Frankie Valli, as well as Walter Hochhauser, Carmine DeSena, and Sal Sofia as the remaining members of the group. As of September 22, 2018, we have officially said "goodbye Summer and hello Fall", which for many is the absolute best time of year. When thinking about the Fall season, one of the first things to come to mind, no matter where you live or which season you most prefer, is likely “pumpkins.” From pumpkin carving to pumpkin pie, pumpkin scented candles to pumpkin beer, and the insanely popular pumpkin spice latte that has gained an almost cult-like following, it can be generally agreed that all things “pumpkin” are now synonymous with the Fall season. As Boca Raton residents, we may not get to experience the crisp, cool air and the changing colors of the leaves that the Fall typically brings, but that doesn’t mean we can’t enjoy all of the great activities and traditions that come with the season-- and yes, that includes pumpkins! 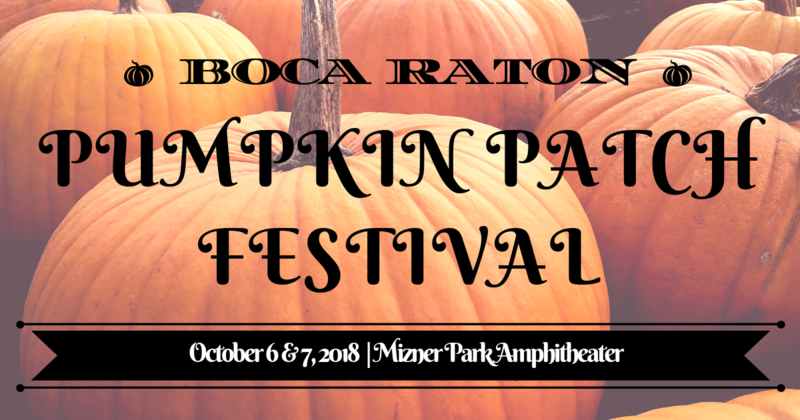 On Saturday & Sunday, October 6 & 7, 2018, the Boca Pumpkin Patch Festival returns to Mizner Park Amphitheater, for a two-day, fun-filled Fall celebration! This event will take place from 10 am - 6 pm on both days, offering a full weekend of family-friendly fall festivities! 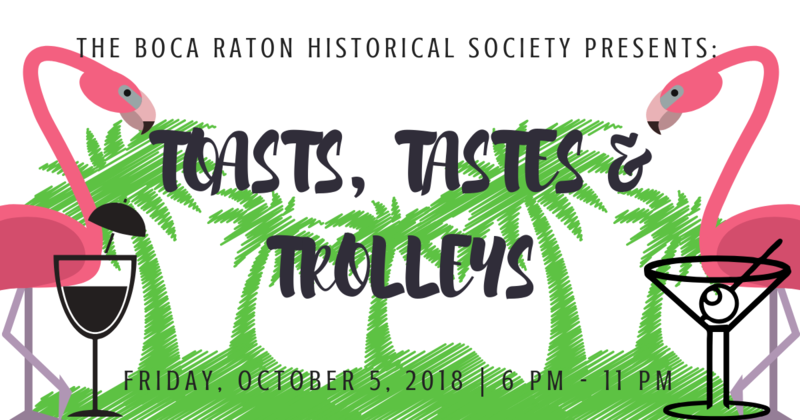 On Friday, October 5, 2018, the Boca Raton Historical Society & Museum’s annual Toasts, Tastes, & Trolleys benefit event returns to Boca Raton for its 7th year. This highly anticipated event promises an extraordinary evening where guests will experience a unique trolley tour of various locations throughout Boca Raton while enjoying dinner by the bite & specialty cocktails at each location. 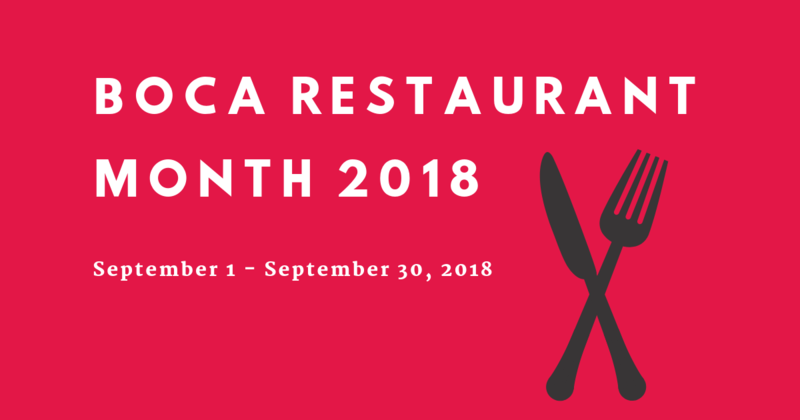 Back by popular demand, Boca Restaurant Month returns for its second year, with yet another incredible month-long restaurant promotion of Boca Raton’s world-class dining scene which will run from September 1st through September 30th, 2018. Boca Restaurant Month offers the public the unique opportunity to indulge in a diverse array of delectable culinary experiences throughout Boca Raton without breaking the bank. More than 30 first-rate dining establishments located in the City of Boca Raton and the Greater Boca Raton area will be serving up mouth-watering three-course meals with a side of exceptional savings, starting from just $21 during lunch and $36 at dinner. Boca Restaurant Month 2018 also happens to fall just before the crowding and craziness of Boca Raton's "season" really hits, making it the perfect time to try a bunch of new restaurants or visit your favorite local spots if long wait times and crowded restaurants aren't really your cup of tea. 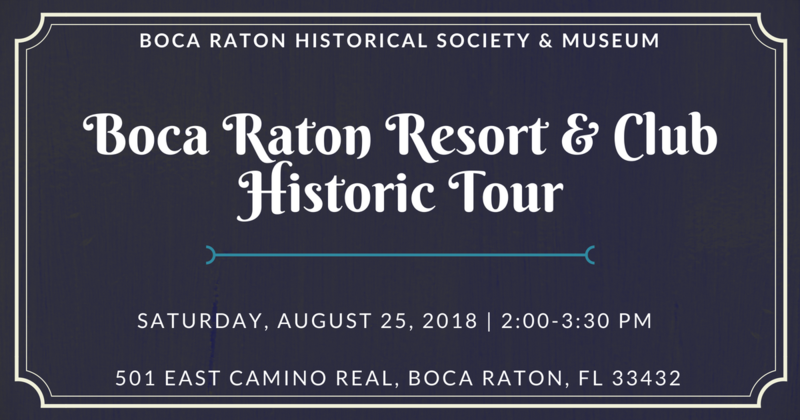 This upcoming Saturday, August 25, 2018, join the Boca Raton Historical Society & Museum for an engaging guided tour of the historic Boca Raton Resort & Club. Originally founded on February 6, 1926, as "The Cloister Inn," the renowned Boca Raton Resort & Club is now one of the most exclusive private membership-based clubs in all of South Florida, boasting a fascinating, colorful past. This 1.5-hour walking tour will take you on a journey through the hotel's rich history, including its past ownership, incredible architecture, historic milestones & turning points, the World War II years, and its prominent role in Boca Raton history. The tour will take place from 2:00 pm- 3:30 pm at the Boca Raton Resort & Club, located at 501 East Camino Real, Boca Raton, FL 33432. The tour costs $15.00 per person or $10.00 for members of the Boca Raton Historical Society. Reservations are required and must be confirmed by noon on Friday, August 24, 2018. Spots are limited and going fast so be sure to make your reservation ASAP. You may make your reservation online or by calling 561-395-6766 ext. 107. For more information please email tours@bocahistory.org. We at Champagne & Parisi Real Estate hope to see you there! 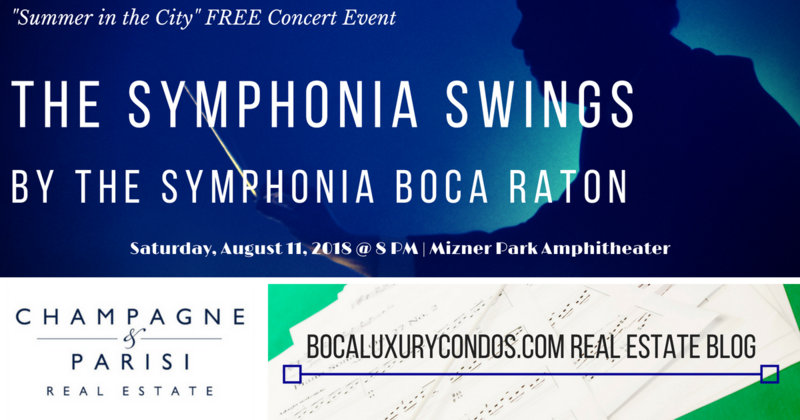 On Saturday, August 11, 2018, the City of Boca Raton will host the final free concert in the “Summer in the City” series at Mizner Park Amphitheater, with a free concert entitled "The Symphonia Swings" by The Symphonia Boca Raton. The Symphonia Boca Raton, now in its 9th season, is a world-class chamber orchestra that is committed to bringing the art & joy of musical presentation to the South Florida community through distinctive musical performances and innovative educational outreach programs. "The Symphonia Swings" promises to be a sizzling performance, as the orchestra plays the classic tunes of some of music's all-time greats, including Frank Sinatra, Dean Martin, Ella Fitzgerald, and many more. 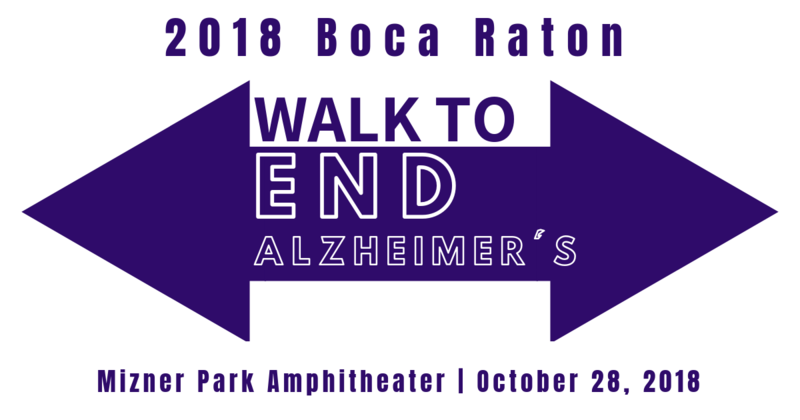 The event, which is FREE and open to the public, will be held at Mizner Park Amphitheater, located at 590 Plaza Real in Downtown Boca Raton, FL. 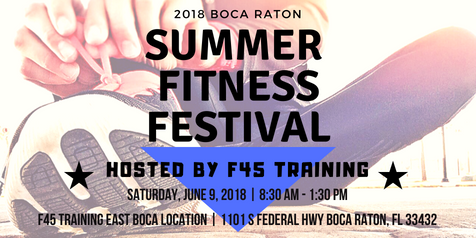 Event attendees are encouraged to walk, bike, or ride-share to the event or to arrive early for the limited free parking which will be available at City Hall and the Boca Raton Library. Attendees may bring blankets or chairs for seating, however, chairs will also be available to rent for $5.00 (cash only) at the event which will take place RAIN or SHINE. 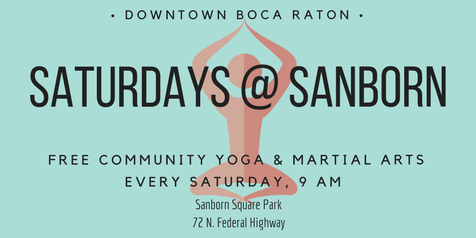 Every Saturday morning, nearly 200 Boca Raton area residents gather in Sanborn Square Park in Downtown Boca Raton to kick-start their weekend with a morning of free community fitness classes. This weekend community event takes place year round and attracts people of all ages from our diverse community, who share a common love for health, fitness, the outdoors, and community connection. The event begins with a free community yoga class, presented by Leslie Glickman, owner of the popular Boca Raton studio, Yoga Journey. The class that will be offered is intended for all levels of Yoga experience, so whether you are a seasoned Yogi or are just beginning your Yoga practice, this class can be adapted to your specific needs. Beginning at 10:30 am, there is a Capoeira Martial Arts class, presented by Cia Do Axe, for people ages 12 and up. Capoeira is an Afro Brazilian form of Martial Arts that combines dance, acrobatics, and ethnic music. Known for its quick and challenging maneuvers, Capoeira serves to enhance flexibility, coordination, and strength, as well as the health and balance of the mind, body, and spirit.